There can be lots of conflicting information out there about what you can and cannot feed a dog. Every conscientious pet owner wants to ensure that they are giving their pets the very best diet that they are able to. And the last thing that we want is to feed our precious fur babies anything which might cause harm to them. Using Google search data, we found the foods which are researched most often in the UK. Every month there are thousands of searches for these foods in the context of them being safe for dogs. Some people might tell you that they have been feeding their dogs certain foods for years without any problems, but a quick Google might bring up all sorts of horror stories. So who is right? 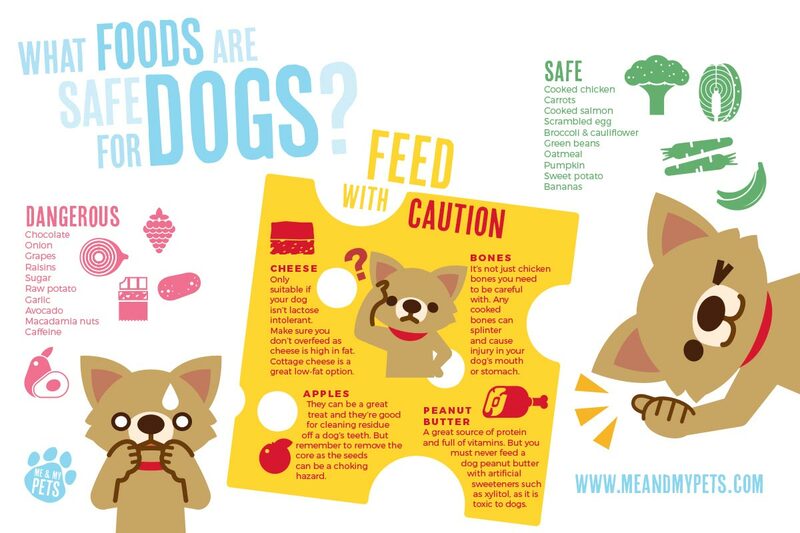 Consulting reliable dog nutrition sources, we have put together this handy graphic which will help you to feed your dogs safe, delicious treats! If you have any concerns about your dog's health or nutrition then you should always consult a vet. This graphic is intended as a guide only and is not definitive - it doesn't take into consideration any allergies or sensitivites which individual animals may have.